Volunteering is one of the most appreciated and experienced activities that young people choose to feel part of the community. In this way a variety of experiences can be gained through volunteering activities – on the other hand competences and qualifications are earned which can be useful for ones’ professional career. The Erasmus+ project VALLEY developed new resources to identify and to recognise skills and competences developed by young people during their volunteering experiences. These resources and the validation methodology were presented in the final VALLEY conference on February 16 in Marseille. The hosting partner “Eurocircle” invited young volunteers and experts from more than 40 organisations to share their experiences and to discuss about the benefits of volunteering in terms of social integration, civic participation and discovery of hidden talents. 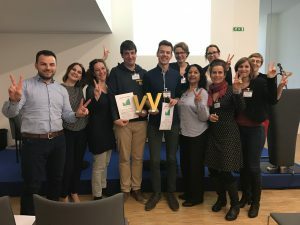 Find more about VALLEY, the event and award winners under valley-eu.org and Facebook!